Discover New Artistic Skills and Boost Your Creativity! Welcome to the online learning community that's geared for creatives and self-starters! Choose from a selection of classes that are perfect for anyone who is interested in improving their creative capabilities, learning cutting-edge skills, and building their businesses. Classes include topics in art, design, and entrepreneurship. Everyone is welcome to join and discover new opportunities! I believe in community over competition, and devote a large part of my brand to creating resources that allow fellow artists to thrive. Learn how to paint with acrylics– with a modern twist! We’ll explore ten separate styles, so you’ll finish the class with a stack of brand new paintings. Explore modern hand-lettering skills and learn how to bring your lettering artwork onto the computer to edit digitally! Whether you’re starting a side-hustle or growing an already-established brand, social media marketing is vital for success. Learn my top strategies for using social media to grow your followers and cultivate a strong brand. Learn techniques for incorporating textures into your hand-lettering or fonts in Photoshop! Join me for a 90-minute introduction to today’s most powerful visual editing program. No previous experience required! Explore your creativity and learn watercolor skills with this step-by-step watercolor class! Monetize your side-hustle! I’ve sold over 100,000 products by licensing my artwork. This class is filled with actionable steps that help you make your first sale with artwork online. Learn how to scan, edit, and enhance your artwork in Photoshop. We'll explore cropping, color palettes, patterns, and more! Transform your creative career in this beginner-friendly, 25-minute class. It's jam-packed with tips and tricks to help you generate consistent income through selling artwork online. "Cat's classes provide a wealth of easily understood and instantly usable tips and directions. Beyond being an expert in her field, she is a great verbal communicator. She speaks clearly and confidently." "Amazing informative class to make your artwork digitally flawless and maximize sales! Cat is an expert and explains everything perfectly!" "As always, this class is full of tips, techniques and information that I can use immediately. I love Cat's work and the way she describes each procedure makes it easy to follow. Her classes have helped me grow as an artist." 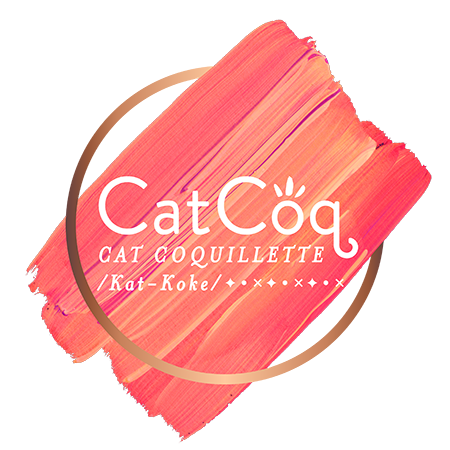 "There's no mystery why Cat Coquillette gets top billing on Skillshare. This excellent intro to print on demand for artists packs more info in 24 minutes than many classes do that are three times as long." "This is the best class I've seen on the subject of Art Licensing. Cat dispenses a clear sense of direction and the most important things to know and consider as one takes this journey." "Cat explains each step in great detail, yet quickly moves through the information. I highly recommend this class."